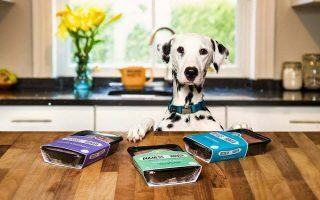 Members of each of the 4 Dalmatian Breed Clubs are asked to participate in this new health survey. A new 2018 Breed health survey has been launched recently. These surveys are being issued every 5 years, with the first one having taken place in 2013. This will enable us to monitor the incidence of conditions associated with Dalmatians, and over the years to track changes in their prevalence. It is just as important to take part in the survey even if your dogs have never suffered any illness, so that a more accurate indication of the prevalence of any condition can be obtained. The results of the survey will be used for statistical analysis only, and the results of any statistical analysis will be published in due course. However, at no time and under no circumstances will details of any individual Dalmatian or owner be published or disclosed to any person or organisation. The survey can be downloaded from any of the Clubs’ websites and/or Facebook pages, or by sending an email to dalhealthsurvey18@gmail.com with the simple title or message ‘request survey’. Should you require a hard copy, please call or text 07787 152612. These contact details can also be used for any query you might have in connection with the survey. Please take part in the survey for the benefit of Dalmatians. Many thanks.